Heidi’s practice includes mergers and acquisitions, corporate finance and securities, corporate governance and general corporate matters. 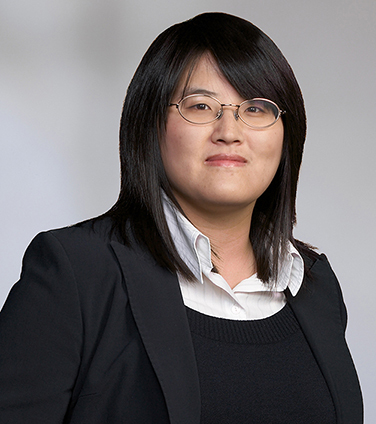 She has been involved in a broad range of transactional work, including the sale and acquisition of public and private companies, complex corporate reorganizations and debt and equity offerings in the public and private markets. Heidi also assists clients with ongoing public markets compliance and governance requirements. In 2008, she completed a four-month secondment to Canadian Oil Sands Limited. Canada Pension Plan Investment Board in its investment through a private placement of subscription receipts as a cornerstone investor of TORC Oil & Gas. Microsoft Corporation, as Canadian counsel on its €5.4 billion acquisition of Nokia Corporation’s devices and services business, and in its acquisitions of InCycle Software, Opalis Software Inc., BigPark Inc. and 90 Degree Software Inc. and its acquisition of the assets of Dundas Software. Hill-Rom Canada Respiratory Ltd., on its acquisition of Chestmaster Inc.
Crest Energy International in WesternZagros’ $200 million rights offering, private placement backstop agreement and loan facility. Counsel to underwriting syndicate led by RBC Capital Markets, Barclays Capital Canada Inc., Merrill Lynch Canada Inc. and BMO Capital Markets for Oryx Petroleum Corporation Limited’s $250 million initial public offering. Golden Crescent Investments Ltd., an affiliate of Citadel Capital, on its proposed sale of National Petroleum Egypt Company Limited to Sea Dragon Energy Inc.
Group of Concerned Shareholders in a requisitioned meeting for Helix BioPharma Corp. and subsequent proxy battle. Walter Energy in its $3.3 billion acquisition of Western Coal Corp.
Glam Media, Inc. in its cross-border acquisition of BBS Media. Canadian Oil Sands Trust in its strategy for conversion to a corporate structure. Kulczyk Oil Ventures Inc. in its initial public offering on the Warsaw Stock Exchange. Canadian Oil Sands Limited in its cross-border private offering of US$500 million of senior unsecured notes. TUSK Energy Corp. in its sale by way of plan of arrangement to Polar Star Oil and Gas, Inc., a venture indirectly owned by the Teachers Insurance and Annuity Association of America. Sword Canada Acquisition Corporation and First Reserve Corporation in the acquisition of Saxon Energy Services Inc.
National Petroleum Company S.A.E. and its affiliates with respect to the acquisition of Rally Energy Corp.
RREEF America LLC in the purchase of all of the issued and outstanding shares in the capital of Maher Terminals Holdings Corp. and Maher Canadian Holdings Corp. and related financing.